Horror is a genre of films that stands apart from the crowd because it uses a different type of entertainment – the fear! Some people may not believe, but there are numerous people who actually enjoy being frightened to death. Thus extreme fear can be entertaining, especially when the viewer is safe on his seat in a theatre or his home, and all the fearsome events are happening on the screen. Identifying this very magic of horror films, a lot of horror movies were created, some of them were flop but many were blockbusters. But whether they were a failure or success, it’s sure that horror movies are unusual, unique and untraditional. They are quite above regular movies, because they have a different kind of entertainment factor – the fear factor. Such a fully entertaining movie has been created by Distant Star Pictures and its name is The Castle! The Castle has everything for the lovers of horror movies, history and wars because it has the backdrop of WW2. At the start of the movie, you’ll see the past events to make it easy for you to refer the next story to its background. It’s the ending time of World War 2 i.e. circa 1945. A German SS under an extremely wicked Colonel Hoffman had spread terror throughout Europe by continuous shootings and lootings of precious treasures and artifacts. The SS is taught a lesson by the Allied forces who reach the Castle and fight with the SS. At the end of the war, all Nazis die and the Colonel commits a suicide. Several years after this incidence, a couple named Walter and Anna, decides to go on a vacation to Germany and spend time in a cottage. But they receive an email in which there is a very lucrative offer of having a vacation in a German castle for a much less price. Since there is no reason for them to reject this offer, they decide to accept it and arrive at The Castle and are excited with its dreamy appearance. But as they get in, they start experiencing horrifying events. They feel that they are not alone in the castle and it’s true. It’s because the evil colonel and his equally evil soldiers haven’t left the castle. Their ghosts are living there, have created a hell, are trapped in it and are planning to make the life hell for this couple. The dream of a fairytale German vacation of Walter and Anna turns into a nightmare which seems to end never! 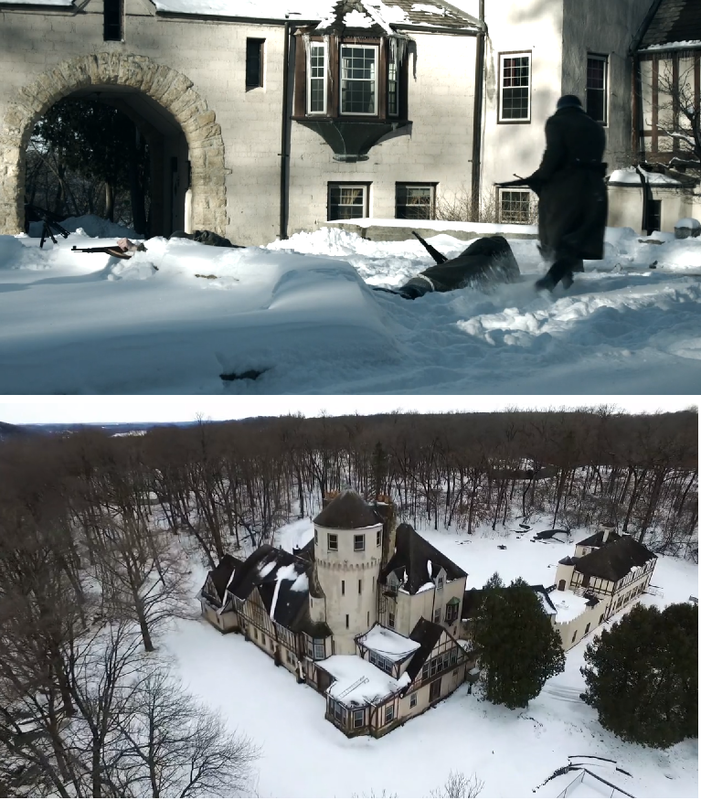 The Castle chosen for the setting of the storyline is actually not in Germany but is in Illinois. And, the battle fought outside the Castle has been depicted absolutely real by the German and American re-enactors by using lots of jeeps, tanks and armored vehicles. The actors in The Castle are Lew Temple (playing Walter), an American film actor famous for his roles like Ned Oldham in Unstoppable and Axel in The Walking Dead, Tierza Scaccia (playing Anna), a New York based actor who has trained in three top improv training schools and famous for her roles in Verrater, One Part Murder, Meter Maid, Heaven is Hell, Two Parts Bourbon and also for Outside Explorer, the TV show she produced and hosted, and Mathew Ashford (playing Jim) who played Drew Ralston in One Life to Live (which later led to Search for Tomorrow) and who has won many awards like the Best Villain by Soap Opera Digest, and Super Couple and Best Wedding award and also the Best Comedic Performance award to name a few. Jerry Lynch who has played Colonel Hoffman in The Castle was passionate about films and started his career in the 90s in movies as well as theatre. According to Jerry, it’s thrilling to bring life to the characters. Jerry has acted and produced more than 30 titles. Shannon Lee who has played Johanna started doing promotional, print and runway modeling in the industry after which she found her passion for acting and then she played various roles in different genres. Why is The Castle Outstanding? The Castle is the first film ever wherein a few other genres have been blended with the horror genre, like World War 2, history and horror genres. And the outstanding performances of all the actors have taken the film to a new level much above the horror genre. Moreover, it has also a great ability to attract the audience towards it again and again, unlike other horror or suspense movies which lose their fear factor after watching them once. And every time when you watch The Castle again, you discover something new which keeps the appeal of the film alive. All in all, The Castle is not just a horror movie but has the power to entertain different types of viewers alike. The Castle has been created by Distant Star Pictures or DSP which is an independent movie production company based in Chicago and is known for creating untraditional movies which their fans eagerly wait for. All the members of the company are highly driven professionals and are always ready to dedicate their time and knowledge to create great films. 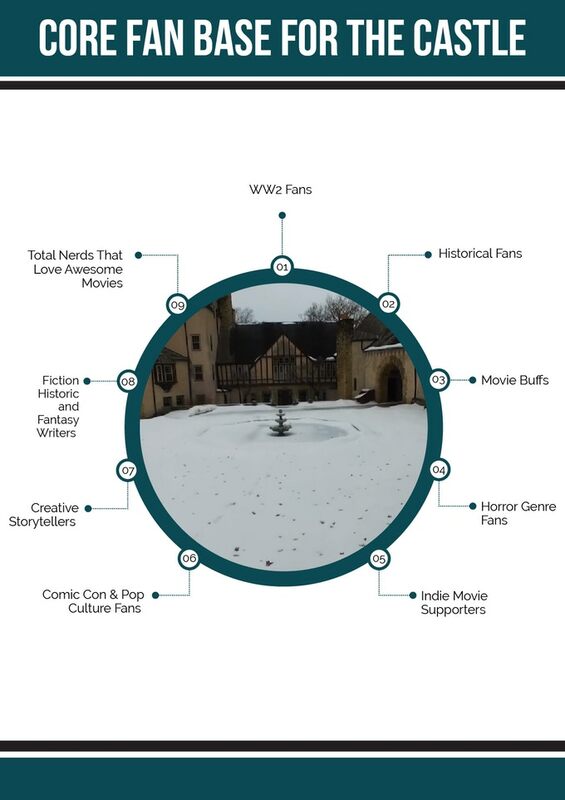 The Castle is running a campaign on Kickstarter and you can help for the creation of this movie, not only with money but also through other ways about which you can read on their Kickstarter page. So, if the story of The Castle excites you enough, go ahead and help to bring the movie to reality, and you can watch a great movie full of entertainment.